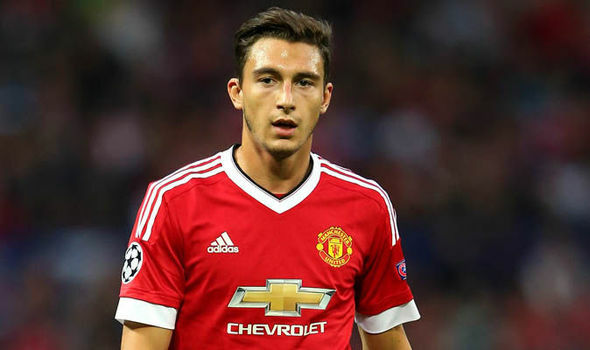 Italian outfit, Napoli have confirmed that they are interested in Manchester United rightback, Matteo Darmian. The former Torino player is desperate to leave Old Trafford after falling down the pecking order under Jose Mourinho last term. He struggled to play last term, featuring just 8 times in the Premier League. He is ready for a move back to his native Italy, and it seems that Naples-based side are interested in signing him. Partenopei boss, Carlo Ancelotti is a big admirer of the player though Napoli president, Aurelio De Laurentiis has stated that Darmian is not the only one on the radar to add more depth to the Napoli backline. Juventus and Inter Milan have been rumoured to be very keen on signing the player though Napoli have joined the race. Darmian has already confirmed that he wants to leave the club with Jose Mourinho saying that he won’t stand in his way. Back in February, he stated that he would be interested in moving to any of Inter, Juventus and Napoli. He featured under Louis Van Gaal in 2015 after impressing in Serie A, but under Jose Mourinho, he has really struggled. Since joining from Torino in 2015, Darmian has made 85 appearances for the Red Devils, but featured just eight times in the Premier League for Jose Mourinho’s team last term.